This download is a PROMETHEAN BOARD flip chart to be used with an interactive whiteboard or computer with the Activinspire program. Make sure you have the Activinspire program in order to use this download. 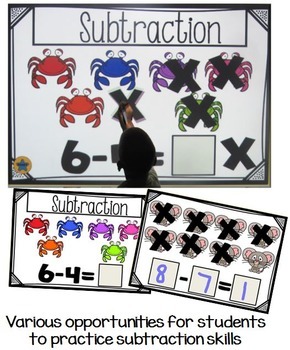 This flip chart is designed to help your students understand the concept of subtracting within ten in a digital, entertaining and interactive manner. 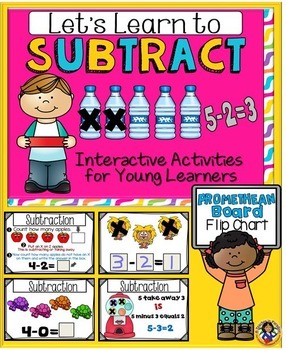 The flip chart has 81 pages and contains colorful anchor charts that help explain this skill in an engaging manner; filled with fun activities for the students to complete. 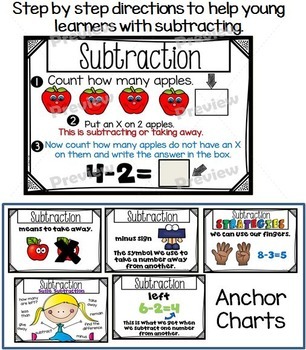 A set of printables and subtraction mats are also included in your download to supplement this very important skill. You can read more about the printables by clicking on the link below.